I am allergic to Nuts – are your products suitable products? I am allergic to Nuts - are your products suitable products? At the time of writing this FAQ non of our products contain nuts on the ingredients list. However, many of our products do include coconut on the ingredient list. Even though coconut isn’t a nut, some people who are allergic to tree nuts (like almonds, cashews, and walnuts) are also allergic to coconut. But others are not. Please do double check the ingredients list before buying, just in case we’ve added new products in the meantime. However, we always try to avoid including common allergens in any of our products. Important Disclaimer: Some of our ingredient suppliers have premises which handle nuts (including peanuts), seeds, cereals, soya & products containing gluten. Previous post: I have IBS. Can I use Nutribuddy products? 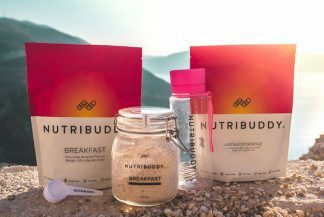 Next post: I am a Coeliac / Gluten / Wheat / Barley Intolerant – can I take Nutribuddy products?